Hotel Janak Residency is a great choice for a comfortable stay within your budget. The hotel is located in the Janakpuri area of south west Delhi. The common area looks beautiful with a well-designed sofa and an accent wall with abstract print. The hotel offers amenities like free Wi-Fi and power back-up. 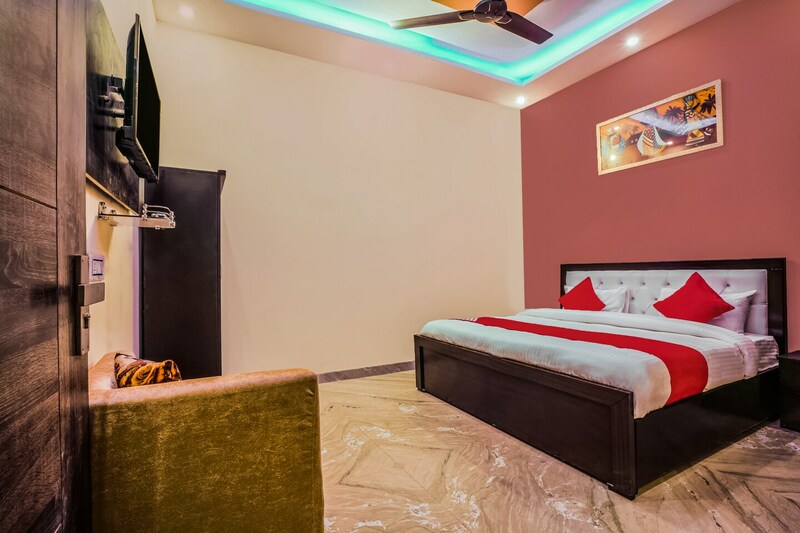 The rooms are equipped with AC, TV, seating area, wardrobe and hygienic bathrooms.The nearby area is great for shopping and has plenty of restaurants as well. Fit2Food, Foody Cafe, Aggarwal Restaurant, Da Pepper Pizza and Xotic Dosa are some popular ones. Popular tourist destinations around include Safdarjung Tomb, Mumtaz Mahal, Khas Mahal and Qutub Minar.